Which? Recommended Provider: In 2014, Time Out Guides was rated top guidebook brand by Which? Survey, for level of detail, photography, quality of maps, ease of finding information and value for money. Perched on the edge of the Baltic, Scandinavia's coolest capital is made up of one-third water, one-third green space and three-thirds style. 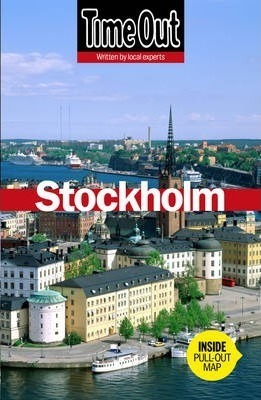 You just have to clock the number of glossy Swedish lifestyle mags lining the shelves of the newsagents, or the calculated cool clothing sported by young Stockholmers, to realise that this place is at the forefront of design - from chic boutiques to cutting-edge hotels. But it is also a city of substance, with over 100 galleries and 70 museums - impressive stats for a population roughly one-seventh the size of London. And for a break from all that Nordic chic, there are thousands of pine-covered islands a ferry ride away for a thoroughly laid-back getaway.